Irma Leticia Perez Cordova was born in Colima, Mexico. She and her family immigrated to California in 1962. She attended the University of California at Los Angeles where she graduated with a B.A. in History. While at UCLA, Irma was active in intercollegiate sports, excelling at fencing. She was Captain of the Women’s Fencing Team and was nationally ranked, in both foil and sabre. She has been the Personnel Director at Cedars Sinai Medical Center in Los Angeles, General Counsel to the nonprofit California Human Development, and an international trade consultant for Latin American domestic and foreign trading partners. Irma has been very active in the community, serving as the Advisor to the Latino Health Coalition of Sonoma County, and as a Steering Committee member of the Children’s Health Initiative of Sonoma County. She was appointed by the Sonoma County Board of Supervisors to the position of Trustee of Palm Drive Hospital, in Sebastopol. 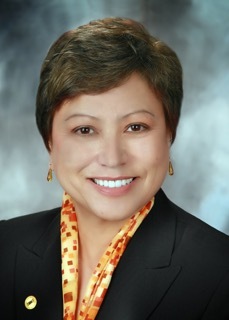 She is a founding member of the Northern California Health Care Authority, and served as representative member of the Joint Powers Authority (JPA). She is a member of the Sonoma and Marin County Bar Associations and of the Hispanic Chamber of Commerce for Sonoma County. Irma’s many honors for her community and legal work include the “Business of the Year” Award presented to her by the Hispanic Chamber of Commerce, and the “Amazing Women of the Century” award given by the Women’s National History Project. While her major focus is immigration law, Irma is also experienced in areas of labor law, criminal defense, employment law, business formations, and personal injury. She is also a successful mediator, with an emphasis on assisting Spanish speakers. Responsible for company finances, legal issues, interfacing with government representatives, regulatory agencies, and liaison with Mexican Consulate. Responsible for advancement of policy positions and delivery of services to Latin population of North Bay. Organizational spokesperson. Personal injury, transactional, and immigration law. Managed personnel (300 employees), including interaction with legal staff and Equal Employment Opportunity Commission. Bi-lingual and bi-cultural Latina attorney widely recognized for representation of the Hispanic community in Northern California. Has championed many causes and has litigated a wide variety of cases which exemplify her dedication to issues of justice for the under-served. These range from issues in the legal field concerning clerical abuse to immigration and criminal defense. Long history of participation in national organizations such as MANA, a National Latina Organization, headquartered in Washington D.C., dedicated to the education and promotion of Latinas and Latinos in the United States. Held positions as National Board Member, Executive Committee Member, and Treasurer. Has served as Advisor to the Latino Health Coalition of Sonoma County; Steering Committee Member of the Children’s Health Initiative of Sonoma County; Member of the Board of Directors and Treasurer of Palm Drive Hospital, in Sebastopol. Founding member of the Northern California Health Care Authority (JPA). Member of the Sonoma and Marin County Bar Associations. Recently appointed to the national committee of the American Immigration Lawyers.